It’s hard to believe there are occasionally pitfalls to being a self-critical, semi-professional lush. Nevertheless sometimes you can get dragged into particularly difficult to solve situations. Like having to cater to the drink demands of 15 people with only the ingredients of the local corner shop. 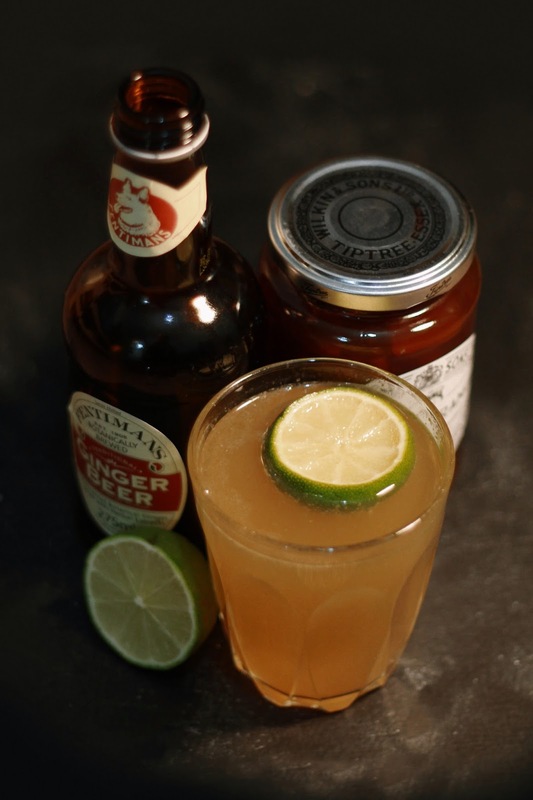 The Marmalade Mule was the result. At 3pm I was sent out on a drinks-run to celebrate someone’s birthday, with instructions to avoid champagne (apparently this causes hooking up with people you shouldn’t at work, who knew?) my instincts drifted to vodka. Ideally you’d make this drink with a bottle of Chase Marmalade vodka but in the absence of a nearby Waitrose, improvisation was key. A jar of marmalade, some reasonably pure vodka (I opted for Russian Standard which imparted a much softer taste on this drink) and a decent cloudy ginger beer later, I had the makings of an excellent corner shop cocktail. Add the marmalade and vodka to a cocktail shaker. Add ice and top up with ginger beer. Squeeze half a lime into the drink. Garnish with the remainder of the lime.